Today we’d like to introduce you to Gia George. Gia, let’s start with your story. We’d love to hear how you got started and how the journey has been so far. I have been pursuing my passions my whole life, knowing that I would eventually make a career out of it but not really knowing how. I’ve always just followed my heart, and it has taken me from one pursuit to the next. Now I’m finally seeing how my passions are coming together in my life purpose. Since I can remember, I’ve been a singer and have loved music. I never considered it a career, so when I went to college, I decided to study exercise science. I had always been passionate about health and wellness. During college, I fell in love with yoga, and I studied to become a yoga teacher toward the end of my college experience. I also sang in a choir and an a cappella group in college because I couldn’t stay away from singing for long! After I graduated from San Diego State University & yoga teacher training, I had one of my first big spiritual awakenings. I went to India for the first time and realized that I had a higher purpose as a singer and songwriter. The inspiration was so powerful that I decided to drop my yoga & fitness career, move to LA, go to music school, and pursue a music career. 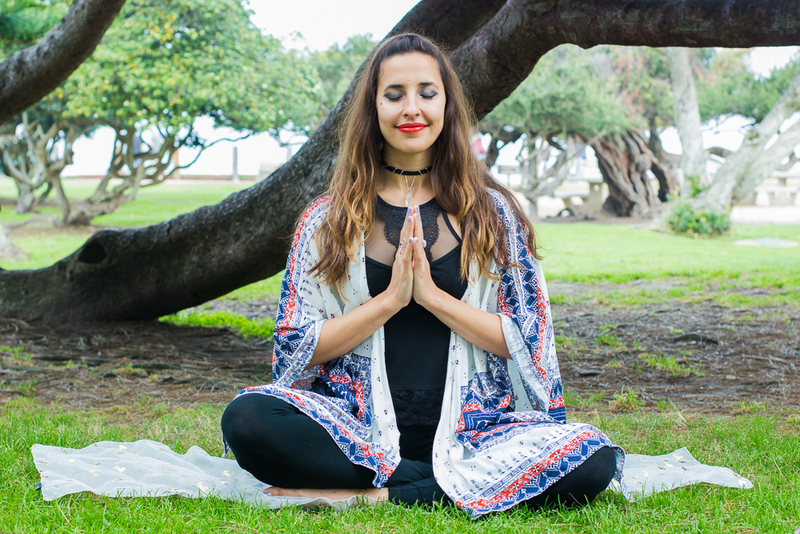 Before too long, I was inspired to start teaching yoga at my music school in Hollywood, and my two paths of music and healing began to merge. I realized I was being reborn… literally. My birth name was Emily, but I decided to go by Gia as my stage name for music. 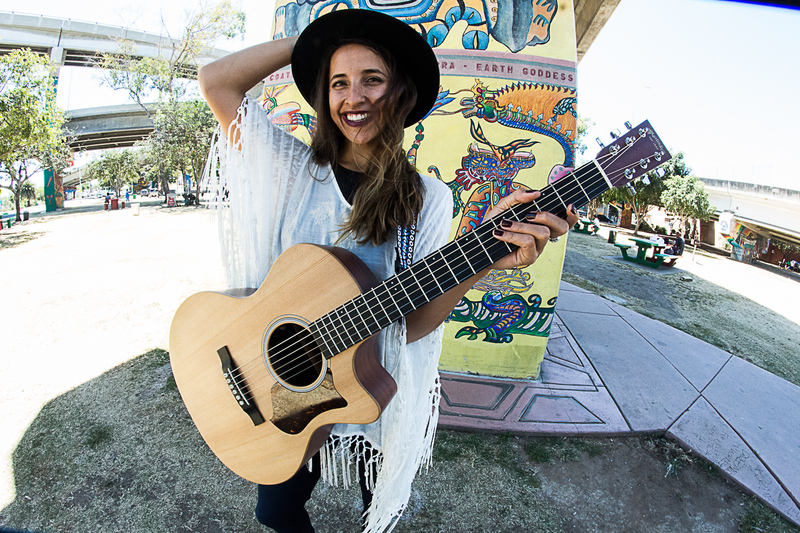 For about six years, I was divided into two people: Emily for yoga and Gia for music. In 2015, it was finally time to be completely transformed into Gia, and this totally changed my life. I had been teaching yoga in LA and was getting more and more inspired about meditation and spirituality. I decided to start a Youtube channel and a Meetup group where I would teach meditation. I was finding it to be even more fulfilling than teaching yoga. At the same time, I was writing and performing pop-folk music in Los Angeles. Finally, in 2015, I was tired of being two people with two identities and pursuits. I started going by Gia full time. I was also fed up with the starving artist struggle in Los Angeles and got inspired to move back to San Diego. Right before I moved back, I was guided to do a Reiki energy healing course and was certified as a level II practitioner. As soon as I moved back to San Diego in October 2015, everything began to fall into place. I met my soulmate, I started performing music around town, I was teaching yoga, and I was pursuing an online career teaching meditation and spirituality. I still felt overwhelmed and confused by all of my different pursuits. 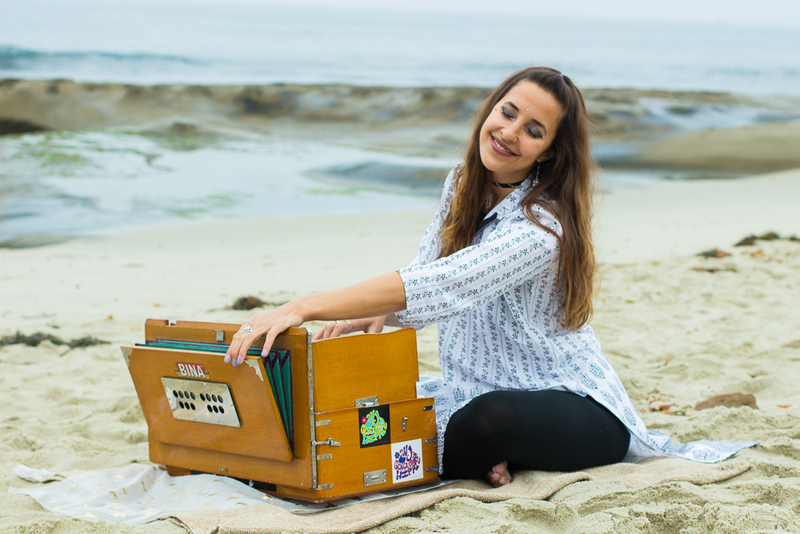 Where would spirituality and music come together in me? I began exploring sound healing in my yoga classes and meditation videos. 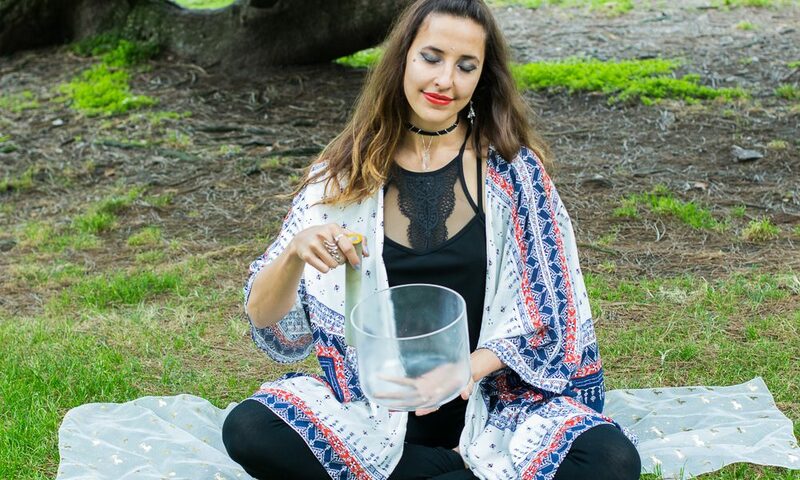 I would sing a healing song with my crystal singing bowl at the end of every class or video. It was everyone’s favorite part! My students always asked me for a recording of the singing bowl with my chants. Little did I know that this would eventually become a career-defining project. In 2017, I was invited to return to India, and I knew intuitively that it would be life-changing. A psychic friend of mine told me that the money was all set aside for my trip. “Where? !” I was thinking. As soon as I asked the question, I got the answer. 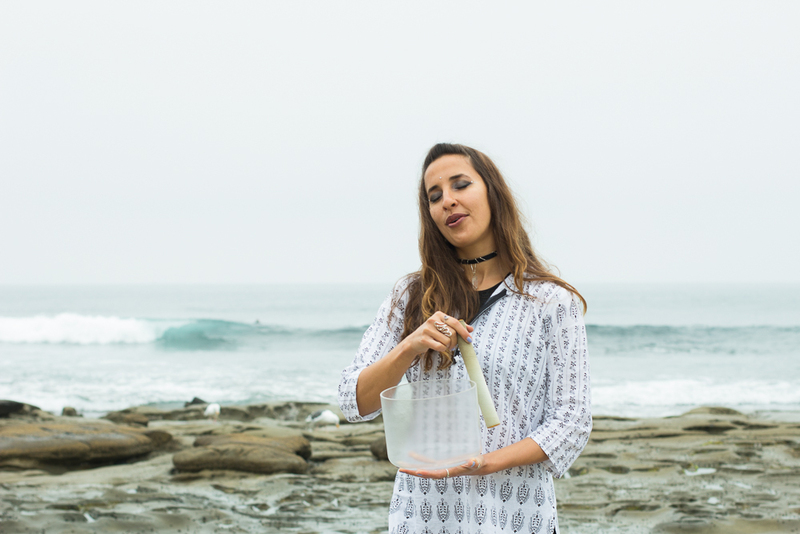 “Create a sound healing album and do a Kickstarter to raise money for the album. Put this money toward your trip.” I was terrified but decided to go for it. Within 21 days, I raised $3,333 for my trip to India. Within three months, the album was created. Within four months, I was off to India! Right before I left, I saw my first client for private meditation and sound healing because her mom found my website and liked what I had to offer. At the time, I honestly didn’t know that private healing work was what I would be pursuing or offering! I also found out about a healing space near my house where I could potentially see clients. While in India, I received powerful confirmation that I should do energy healing with private clients using sound healing, reiki, meditation, and spiritual coaching. When I got back, everything manifested in the blink of an eye, and here I am! I now offer private energy healing sessions. I perform music around San Diego at events, weddings, hotels, and restaurants. 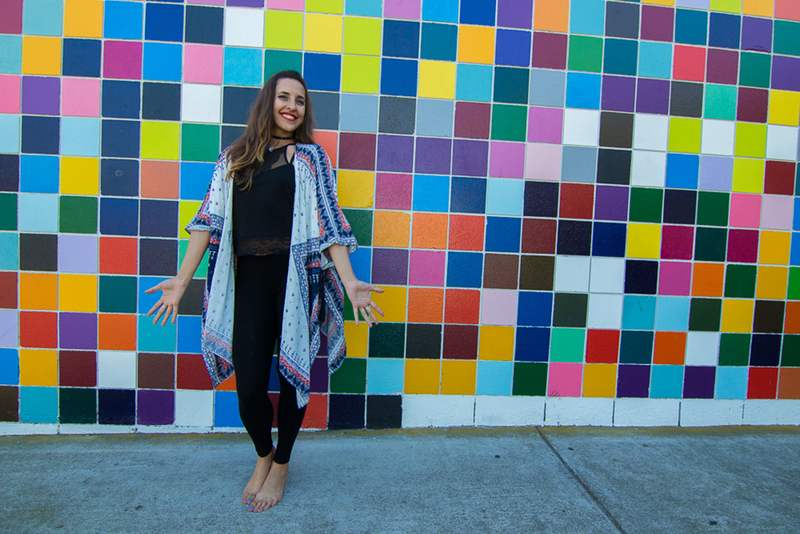 I offer yoga, meditation, and vocal empowerment workshops. I teach meditation on my Youtube channel, and I create meditation content for companies around the world. I’m also about to release my first online course about overcoming negative emotion using the power of your breath! I feel so grateful and blessed to be sharing my gifts with the world. My path has not been smooth in the least. I have quit music more than once. I’ve quit teaching yoga more than once. I’ve hit major roadblocks on my journey and wondered if I was making a mistake in pursuing my career. Honestly, each major setback was showing me how to surrender and let go of attachment. Every time I decided to give up, I was letting go of needing things to unfold “my way,” and I was opening myself up to the way of the Universe. Every roadblock was a gift that guided me to the next epiphany or awakening. Alright – so let’s talk business. Tell us about Divinely Gia – what should we know? The thing I am most known for is my voice. People often describe it as “angelic” and very soothing. I believe my voice is actually what links all aspects of my career. 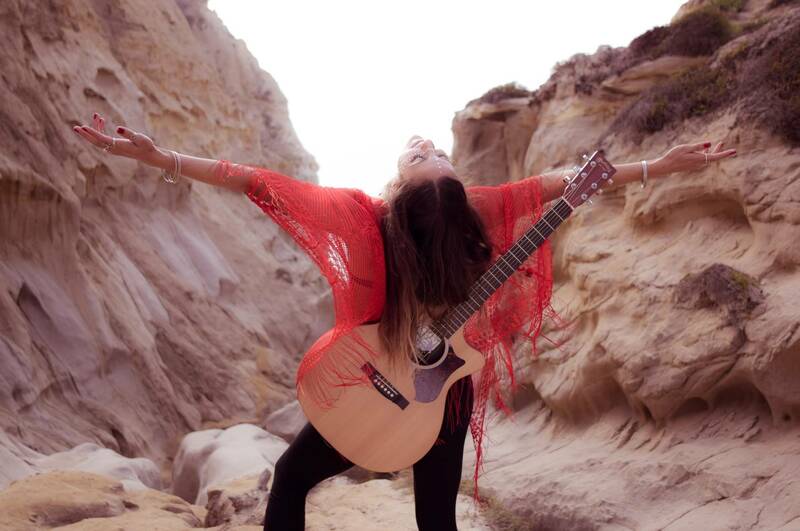 Whether I am singing pop songs and playing the guitar, teaching meditation or yoga, recording content for a client or channeling sounds in a private session, it is my voice that carries healing energy and inspires others. My tagline is “bringing light to the world.” I do this with my creations and my teachings. I hope to help people feel at home in their souls with my music, healing sessions, and offerings. Yes. Women are well positioned for showing the world how to love. The world is in dire need of divine feminine energy in all aspects. Women can show the world how to have compassion, patience, and peace. Women can inspire others to listen to their intuition and receive loving energy. These are all aspects of the divine feminine arising in all of us.